Railinc has announced that use of its RailSight intermodal and railcar data services, software applications, and analytics insights solutions has grown to include eight of North America’s 10 largest third-party logistics (3PL) providers, as well as all 10 of the largest private railcar fleet owners in North America. Railinc created and developed RailSight as a suite of “Data as a Service” (DaaS) and “Software as a Service” (SaaS) cloud-based solutions that deliver value to the rail industry through its high-quality rail shipment, intermodal and rail management data feeds. RailSight is the freight rail industry’s most complete, single-source rail shipment visibility platform and enables users to adapt to changing business conditions and enhance business performance with the most comprehensive and timely shipment location messages and dynamic ETAs. The latest rail and intermodal container shipment locations are reported to and aggregated by RailSight from more than 560 railroads across North America. RailSight reporting and exception management tools empower customers to more efficiently manage deliveries and expectations, production schedules, staffing, and inventory through a flexible, near real-time data delivery framework. RailSight supports a wide range of data formats and connectivity options, including legacy EDI, FTP, SFTP, MQ, Web Services and APIs. “Because RailSight provides an unmatched level of detail and scope of rail visibility events across the U.S., Canada and Mexico, we have been steadily gaining adoption among a growing base of corporate consumers of this information,” said Chuck Hieronymi, Railinc’s director of business solutions. “We’re proud to be trusted with the critical task of supplying operating and supply chain data to the owners of major private railcar fleets, global 3PLs, shippers, and other participants in the North American rail system. “We understand that in today’s competitive digital marketplace, we must continuously identify and deliver improved data quality and data delivery processes that can handle the increasing complexities of global supply network management,” Hieronymi said. Railinc and the RailSight team are also leading the way in customer experience and satisfaction. Railinc registers a Net Promoter Score of 61, which places the company in the reputational ranks of such well-known brands as Southwest Airlines, Netflix and Google. Railinc is a major employer of information technology professionals, ranking 11th in a Triangle Business Journal survey of software developers in North Carolina’s Triangle region—internationally known for its technology and scientific communities. “RailSight’s historically high customer retention rates and our outstanding customer-satisfaction scores are all made possible by our dedicated Railinc team, our commitment to operational excellence and continued focus on our customers’ success,” Hieronymi said. Imagine that you run a lumber company, and you need to ship plywood from Oregon to Maine. Your shipment would move on multiple railroads to travel the approximately 2,600 miles from origin to destination. What if those railroads each used different information to identify where exactly the railcar carrying your shipment was to be interchanged along the way? Your plywood shipment would probably take a lot longer to get to Maine. If it got there at all. Industry Reference Files (IRFs) serve as the North American freight rail industry’s official code tables. IRFs enable data consistency that helps the rail industry manage the movement of 1.7 trillion ton-miles of products every year in the most efficient way possible. They are the sources the railroads involved in your shipment would use for critical information like station locations and the commodities they’re supposed to be moving. As the hub for industry data, Railinc maintains 12 IRFs and uses them to support essential rail systems and operations. The first railroad moving your plywood knows exactly where it will hand off your shipment to the second railroad because they’ve both gotten the location address from the same source. In this case, they’re using data from the Centralized Station Master, a geographic location file that contains information about rail and motor carrier point stations. Industry Reference Files serve as spell checkers, data dictionaries and thesauruses supporting communications within railroads and across the industry. The dozen IRFs that Railinc maintains are full of other details such as railroad personnel contact information; route origin, interchange and destination points; customer names and locations; commodity types; information on hazardous materials; and shipment types. They serve as spell checkers, data dictionaries and thesauruses supporting communications within railroads and across the industry. These files help railroads plan freight movement, transport hazardous materials safely, identify revenue routes, apply switch charges accurately, communicate delivery instructions and ensure billing accuracy. Without IRFs, railroads and their partners and customers would have a difficult time communicating about these activities, and railroad traffic would slow. IRFs contain essential information that gets used even before your plywood shipment is loaded on a railcar. When you’re ready to move your plywood by rail, you create a bill of lading and send it to the first railroad. That railroad uses the information you’ve provided to create a waybill with details and instructions for your shipment. Waybills include information from several IRFs, including the Customer Identification File (CIF) to identify the customer, the Mark to identify the rail carriers involved and the Standard Transportation Commodity Code (STCC) to identify the commodity being shipped. CIF contains about 300,000 records. Carriers use CIF data to identify customer locations where price and other contract terms apply so they can provide accurate delivery instructions and improve shipment reservation, booking and equipment-ordering processes. CIF includes the name, physical and mailing address, corporate parent identifier and a unique identification code for each location managed by the corporate parent. Carriers don't have to worry about inconsistent data because the information is managed using the same standards by a single entity—Railinc. Our employees receive new entity, name change and other requests and update CIF information daily. Because more than one railroad will carry your plywood, information from IRFs is required to help determine the rate each carrier will charge the shipper. 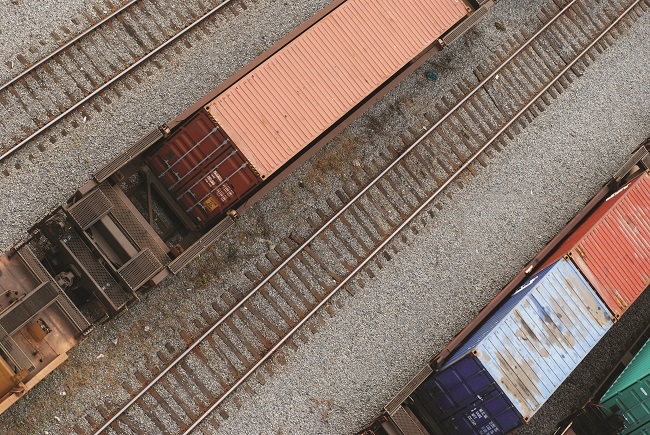 IRFs enable railroads to automatically split up and settle payments among carriers and help to ensure that shipments are routed properly and switch charges are applied correctly. But IRFs aren’t just standalone reference resources. Critical industry systems like the Interline Settlement System®, the Umler® system and the Damaged and Defective Car Tracking (DDCT) system rely on the information they contain to function. For example, the Mark register contains a record of all reporting marks, the alphabetical characters stenciled on every railcar to identify the railroads, shippers and equipment companies that own or lease them. Marks support electronic interactions among railroads, their customers and Railinc systems and files and are used for revenue accounting purposes like car hire and car repair billing. If your shipment travels on more than one carrier, industry rules require that the car that carries your plywood to Maine must be registered in the Umler system, a cornerstone industry database that contains information on more than 2 million pieces of rail equipment in North America. The Umler system uses the Mark register to identify equipment owners and lessors. This ownership information, combined with the data in the Umler system, helps to ensure car hire billing and demurrage and other fees are assigned to the right entity. Mark information and other IRFs also play critical roles in DDCT, which provides a centralized system for freight car owners, railroads, repair shops, and scrap and storage facilities to track damaged and defective railcars. DDCT uses Mark, STCC and other data so handling carriers can search and enter crucial information for cars that are being tracked. Freight rail industry rules also require DDCT users to register in FindUs.Rail, an IRF that contains contact information for industry participants. DDCT uses FindUs.Rail data to send notifications throughout the DDCT workflow, keeping industry participants informed about incidents and repairs. For the sixth time in the last seven years, Inbound Logistics magazine has named Railinc Corp. among its Top 100 Logistics IT Providers. "When choosing the 2017 Top 100 Logistics IT Providers, we looked at excellence in optimizing transportation and logistics operations, and how a company’s solutions impact business activities across internal and external business processes," said Felecia Stratton, editor of Inbound Logistics. “Railinc was selected because its solutions solve specific rail industry challenges, improve processes and create a ripple effect of efficiencies across the entire value chain. Inbound Logistics is proud to honor Railinc for its innovative solutions empowering logistics and supply chain excellence in 2017." Many of Railinc's products support critical operations throughout the freight rail industry. 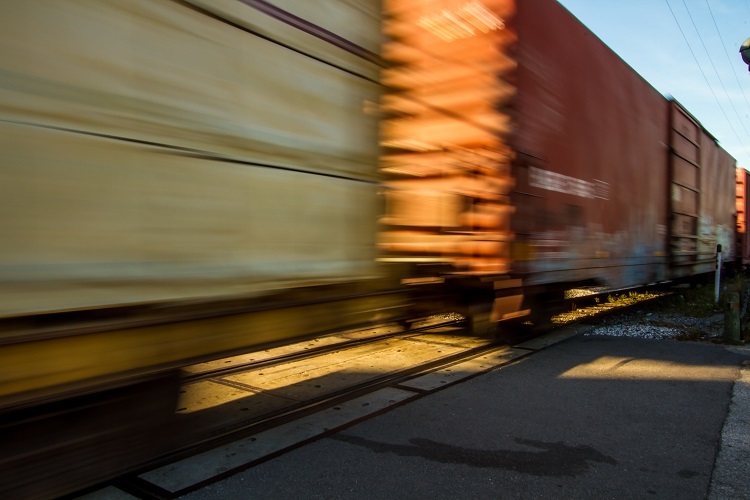 The company’s RailSight™ suite of applications delivers valuable tracking and tracing data to improve network, equipment and shipment visibility, manage exceptions, optimize rail fleets and manage loaded and empty rail equipment. Railinc's Umler® system is the industry's official resource for data on rail equipment used in interline service across North America. The company utilizes its software and technology systems to deliver operational data, provide business intelligence and produce custom reports to that enhance freight rail shipping. Every year, Inbound Logistics editors recognize 100 logistics IT companies that support and enable logistics excellence. Drawn from a pool of more than 300 companies, using questionnaires, personal interviews and other research, Inbound Logistics selects the Top 100 Logistics IT Providers who are leading the way. Click here to see the complete list of the Top 100 Logistics IT Providers. "It’s an honor to be recognized again for this award and for our service to the freight rail industry," said Allen West, president and CEO. "Our people are committed to providing value to the industry every day. I’m proud of the positive impact they have on our customers and the industry and the high-quality products and services they deliver." Railinc’s Umler system is a rich industry resource that contains data on more than 2 million pieces of rail equipment and includes details such as railcar dimensions, capacities and weight, and locomotive horsepower and fuel capacity. Analysis of these data can provide powerful insights into the size and makeup of the North American railcar and locomotive fleets. Since 2010, Railinc Senior Analyst Dr. David Humphrey, right, has used Umler data to create demographic profiles of the railcar and locomotive fleets for an annual presentation at the Rail Equipment Finance Conference in La Quinta, Calif. Railinc representatives have appeared at the conference since 1999. About 400 people attended the conference in March, including representatives from railcar lessors and lessees, banks, shippers, Class I railroads, short line railroads and finance companies. In the Q&A below, Humphrey discusses the railcar and locomotive fleets, what’s new in this year’s railcar review, and overall trends for railcars and locomotives. Detailed information about the fleets, including full-color charts, is included in the 2017 North American Freight Railcar Review and the 2017 North American Locomotive Review, both available via free download here. What types of railcars are in the revenue-earning fleet? The revenue-earning fleet, a subset of the North American rail fleet, is made up of six subfleets: hoppers, covered hoppers, gondolas, flat cars, tank cars and box cars. These cars can be used in interchange service and can be associated with an interline waybill. The revenue-earning fleet doesn’t include locomotives, intermodal trailers and containers, maintenance-of-way equipment and end-of-train devices. What’s new in this year’s railcar review? In past years, the railcar review presented data on car types grouped by their gross rail load (GRL) capacity. This year’s report presents car types by the kinds of commodities they carry, which provides a more nuanced view. This lets us focus on the most commonly shipped commodities for the most popular car types. For example, while covered hoppers—which grew the most of all the car types in 2016—carry grain, sand, plastic pellets, and other commodities, the types of covered hoppers that transport those commodities have different characteristics. The covered hopper that typically carries sand is going to be smaller than the covered hopper that carries corn or soybeans. How do people use the data you present? My presentation is one of the first on the Rail Equipment Finance Conference agenda, and the information serves as an overview for all of the freight car-related topics covered in the first two days. Railinc and its Umler Equipment Index are known as a definitive source of quality data on the status of the North American railcar fleet. The conference has a focus on the financial aspects of buying, selling, leasing and building freight cars and locomotives, which means the data we present are particularly relevant to the attendees and the companies they represent. What were the major trends for the revenue-earning fleet? The revenue-earning fleet grew by 1.4 percent in 2016, driven by increases in the covered hopper and tank car populations. The hopper car type contracted for the seventh year in a row, and the gondola population decreased for the fourth straight year. For the first time in years, the number of box cars held steady from the previous year. The fleet continues to grow younger, with the average age of the fleet declining again in 2016. The trend of GRL 286 cars leading among additions to the revenue-earning fleet continued in 2016. What were the trends for locomotives? Locomotives continue to join the fleet at a steady rate: 2016 was the seventh consecutive year of growth for the fleet. The average and median ages for locomotives both increased in 2016. Also, high-horsepower, AC locomotives with six axles and high fuel capacity continue to make up the majority of new additions to the fleet. The 2017 North American Freight Railcar Review and the 2017 North American Locomotive Review are available to download for free, as are past reports. Railinc also provides quarterly updates on the revenue-earning fleet in its Umler Equipment Index. Showing 21 - 25 of 76 results.